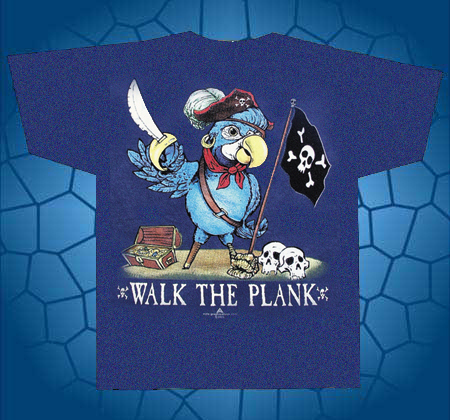 This shirt features a blue parrot holding a pirate flag. small parrot lurking on the front left chest. Sail away with one today!